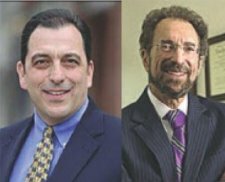 At its organizational meeting on January 23, 2019, the North Central Pennsylvania Trial Lawyers Association elected officers for the upcoming year. LLA member Mike Zicolello was selected as president; Cliff Rieders was re-elected to the position of secretary. Congratulations to our members for their election to these positions of responsibility in the Trial Lawyers group.